The Oppo-made Realme 2 is coming soon. 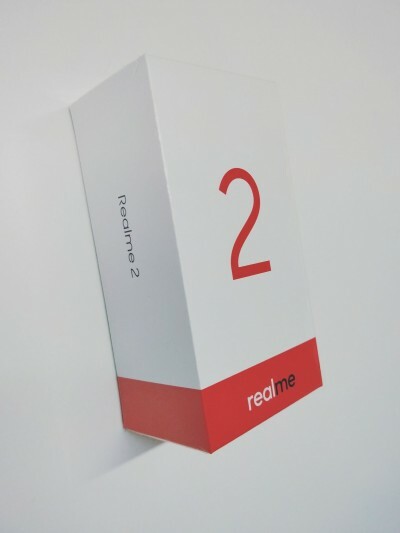 We saw a press render of the new phone earlier today, then Realme launched its official website and now we bring you the Realme 2's retail box. The website features the Realme brand story as well as its only product so far - the Realme 1. Naturally, the site makes no mention of Realme's connection with Oppo. At this time we don't have any other details outside of the retail box, but we expect the Realme 2 to bring similar if not quite identical hardware to the Oppo F7. It's unclear when Oppo's sub-brand Realme will be ready to announce the Realme 2 but it will most likely be very soon and the launch of the refreshed website is a preparation for it. Just guessing, this could be Oppo A3s but with more RAM, more screen resolution & rear mounted fingerprint sensor.